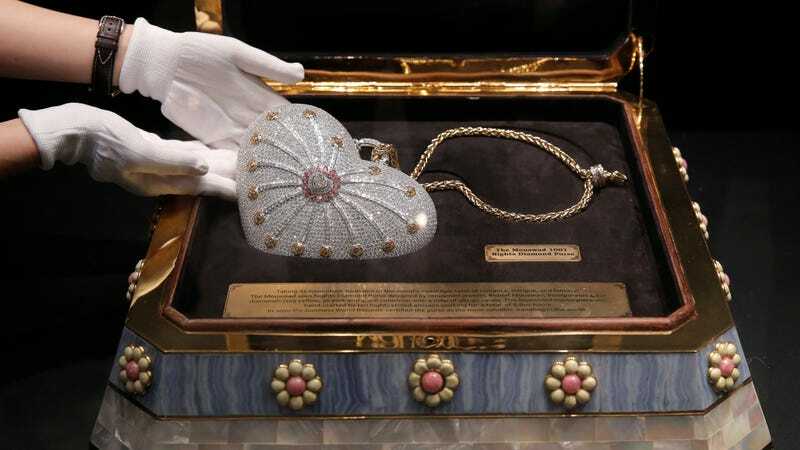 This small purse, covered in more diamonds than a really nasty pier has barnacles and currently the Guinness World Record holder for most valuable handbag, is up for sale. To whom should I provide my mailing address? So it’s conveniently working its way to me, a person who should treat herself. Great! Does Christie’s take Venmo?